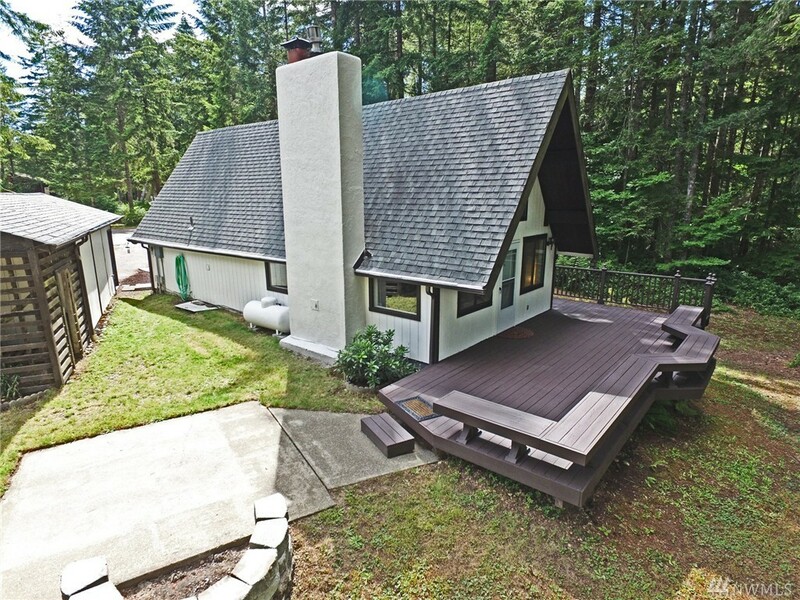 A great 3 level "A" Frame cabin right on the 7th Fairway at Lake Cushman. Light & bright with lots of windows, a full bath on the main floor & a 1/2 bath up with the lofted bedroom. The daylight basement would make a great family room or even a better master bedroom with it's own fireplace & door to the side yard. Enjoy your time on the big deck overlooking the golf course or just sit around the fire ring with all your friends. Big open Great room with propane stove. Nice garage with shop.